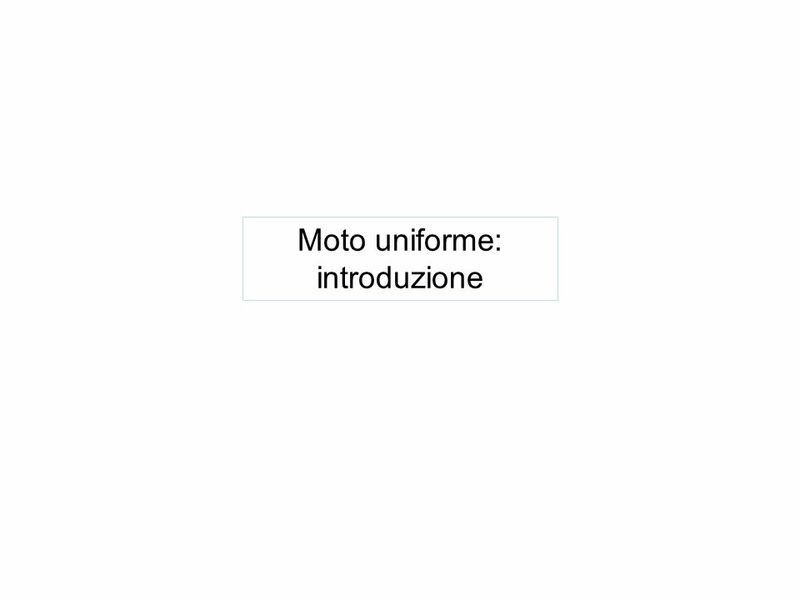 4 Moto uniforme: cosa significa? 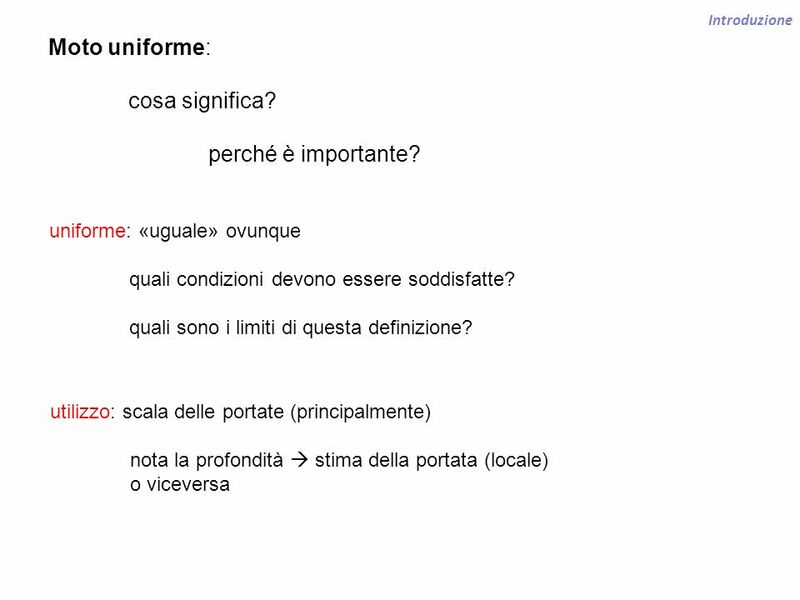 perché è importante? 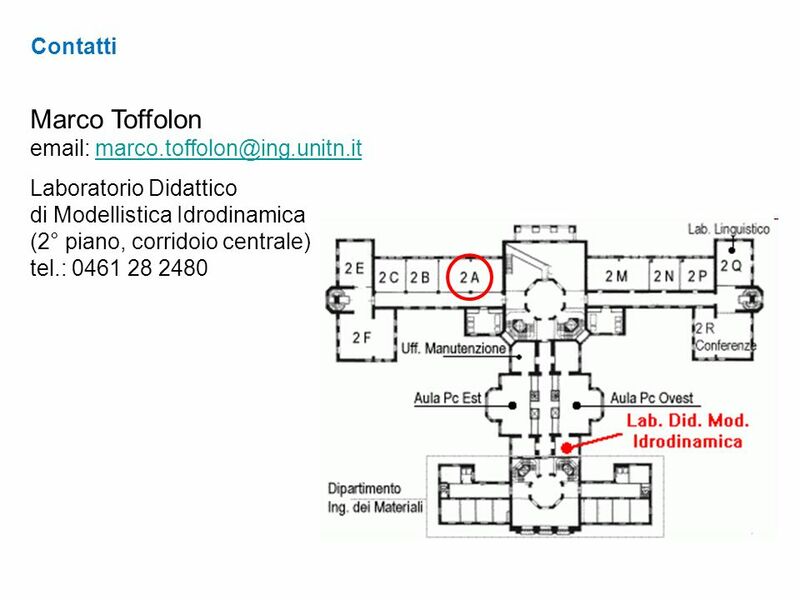 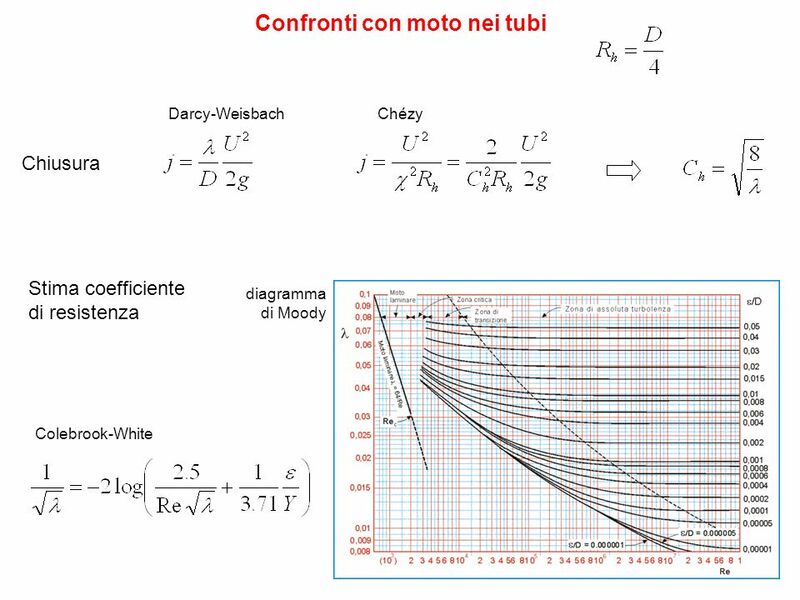 Variazione di scabrezza lungo il contorno Come determinare la scala di deflusso e in generale le proprietà idrauliche f(Y) della sezione? 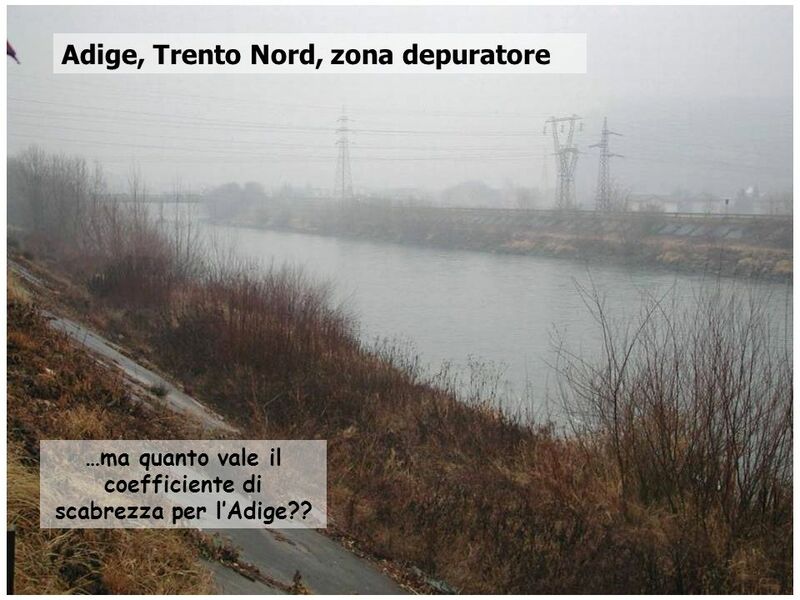 21 …ma quanto vale il coefficiente di scabrezza per l’Adige?? 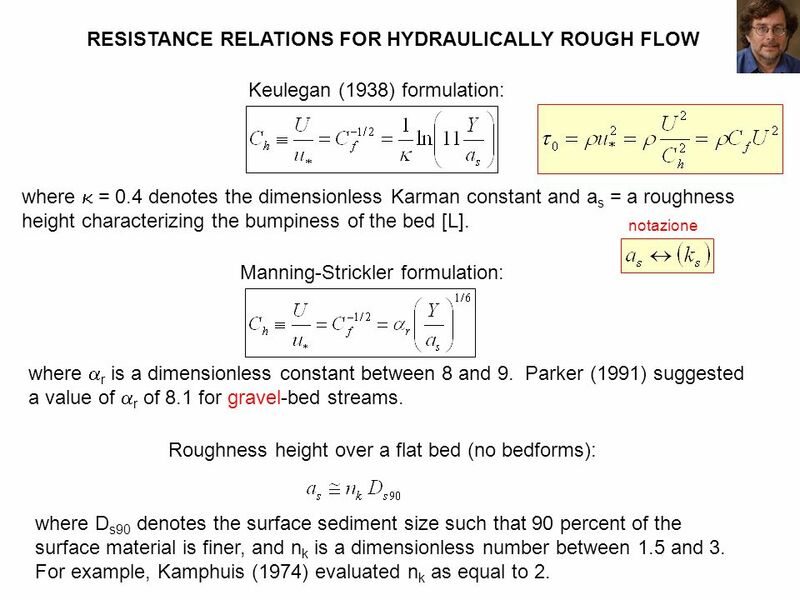 Keulegan (1938) formulation: where  = 0.4 denotes the dimensionless Karman constant and as = a roughness height characterizing the bumpiness of the bed [L]. 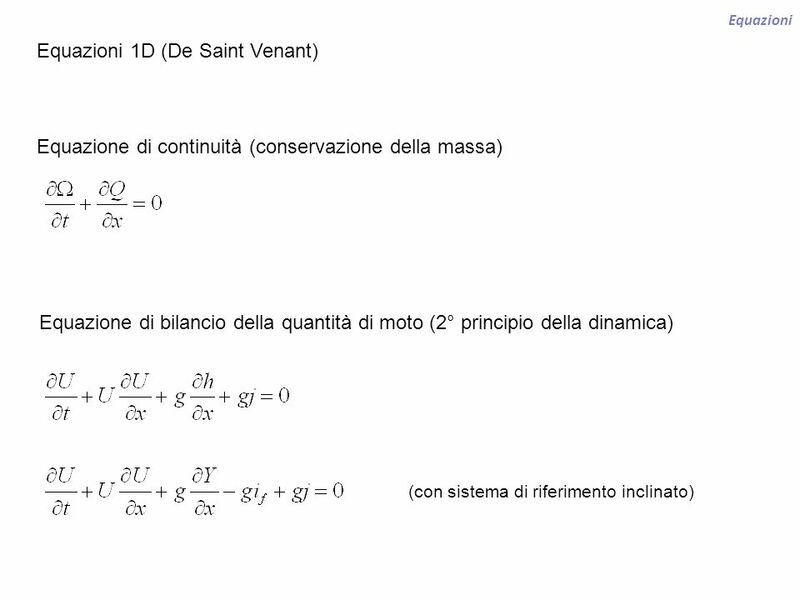 notazione Manning-Strickler formulation: where r is a dimensionless constant between 8 and 9. 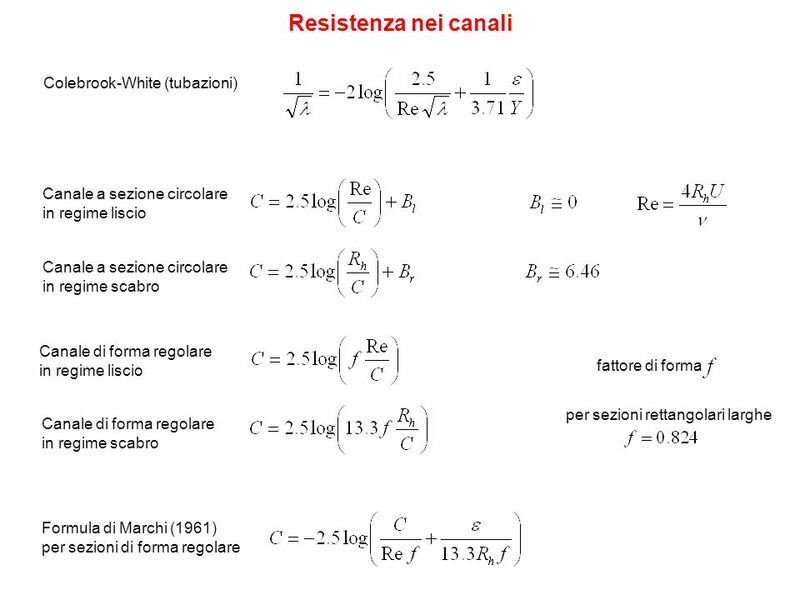 Parker (1991) suggested a value of r of 8.1 for gravel-bed streams. 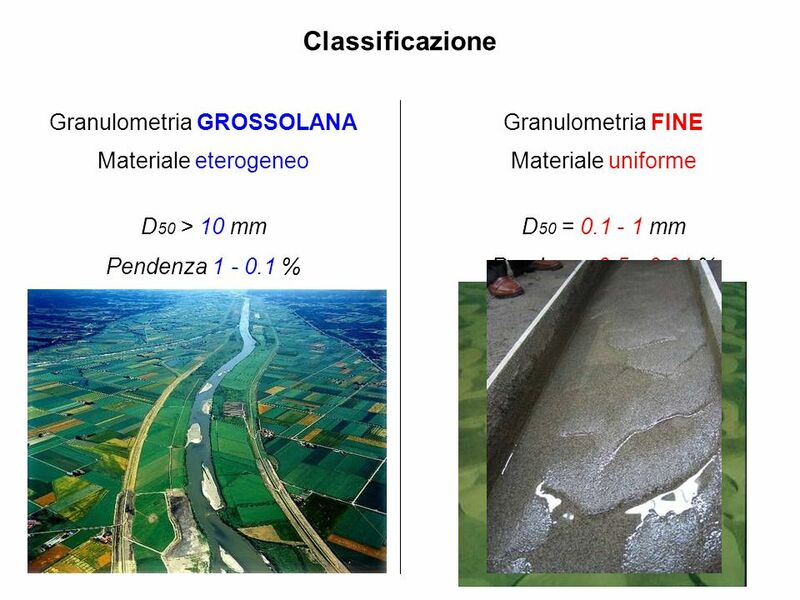 Roughness height over a flat bed (no bedforms): where Ds90 denotes the surface sediment size such that 90 percent of the surface material is finer, and nk is a dimensionless number between 1.5 and 3. 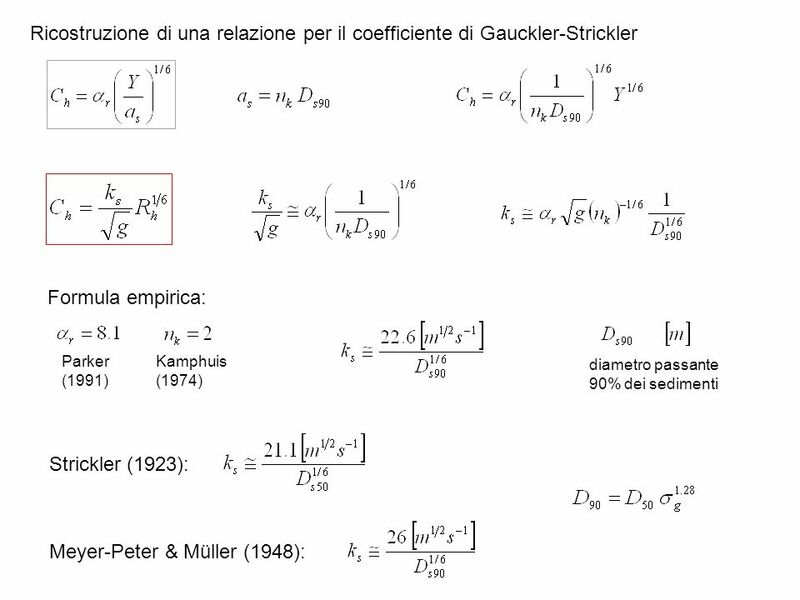 For example, Kamphuis (1974) evaluated nk as equal to 2. 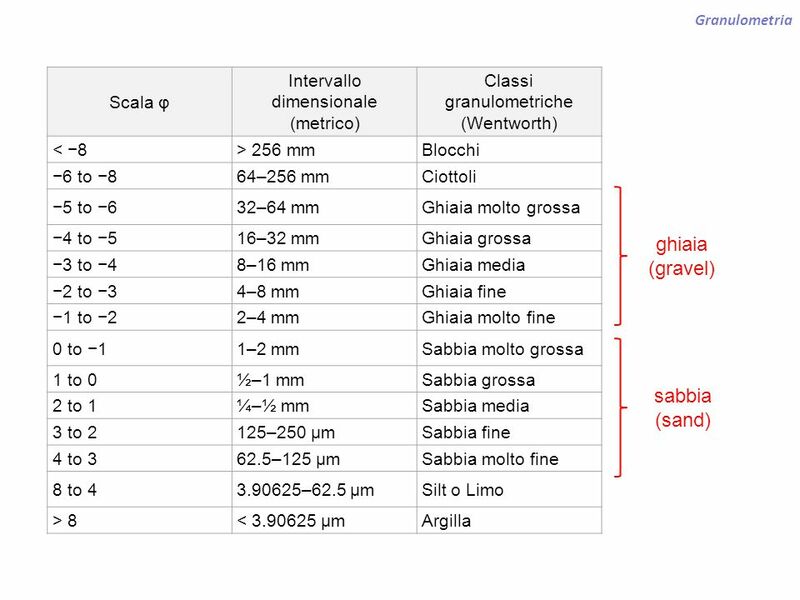 Note that Ch does not vary strongly with depth. 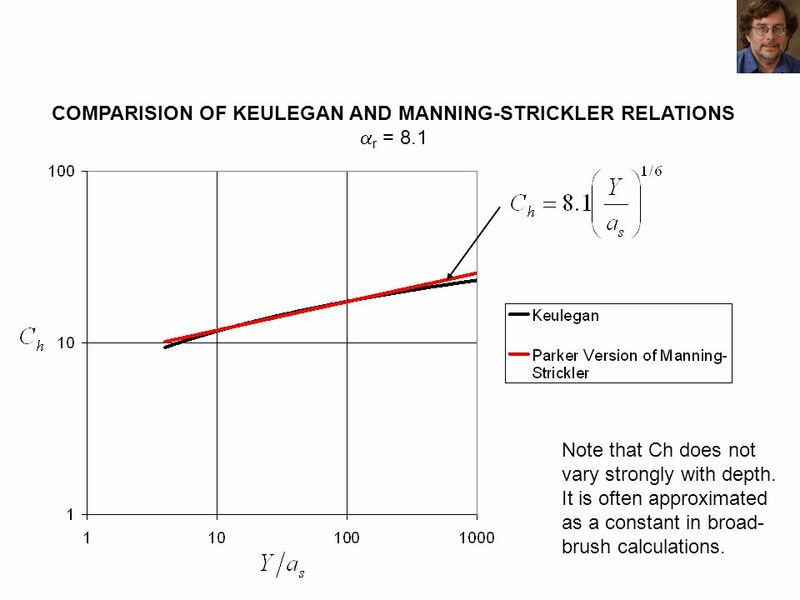 It is often approximated as a constant in broad-brush calculations. 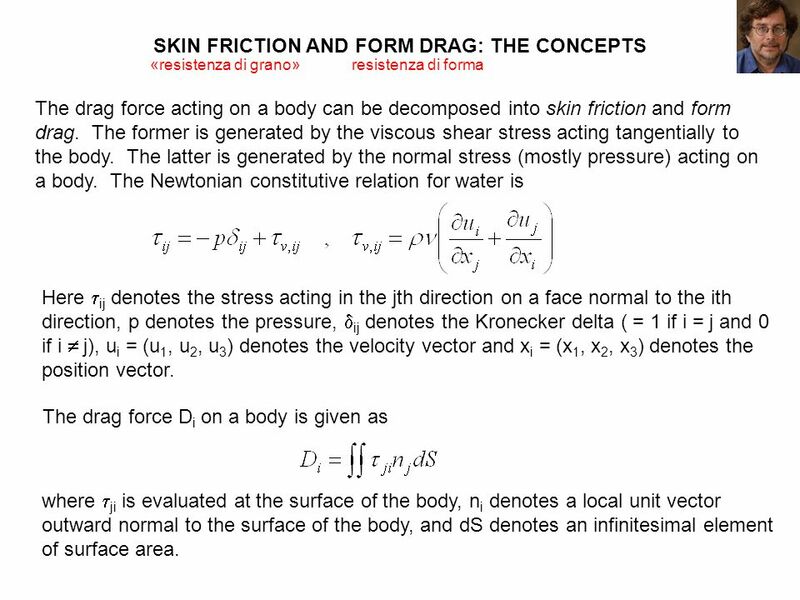 33 SKIN FRICTION AND FORM DRAG: THE CONCEPTS contd. 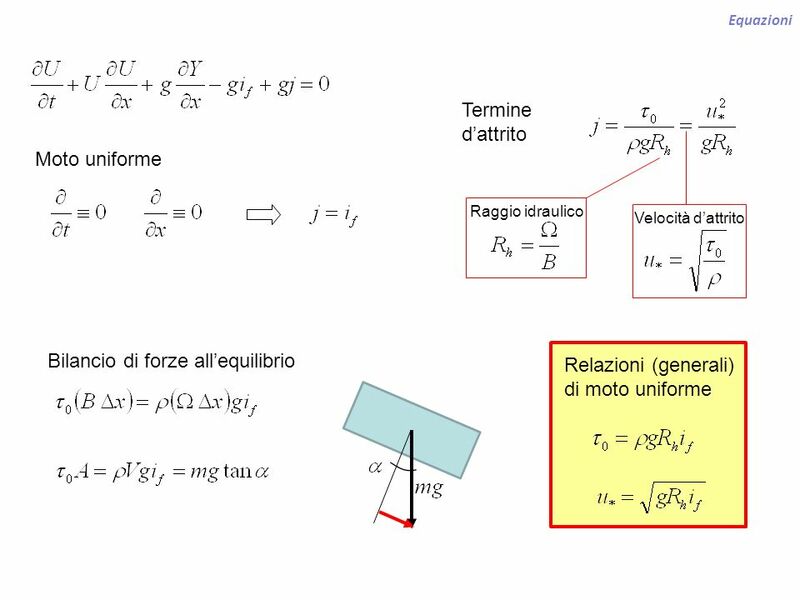 The drag force Di can be decomposed into a component due to skin friction Dsi and a component due to form drag Dfi as follows: Drag due to skin friction consists of that part of the drag that pulls the surface of the body tangentially. 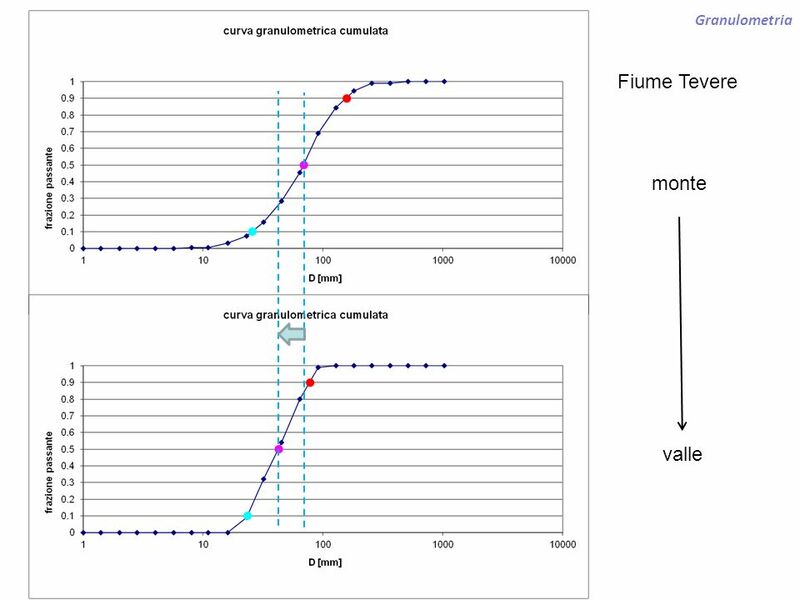 Form drag consists of that part of the drag that pushes the body in normally. 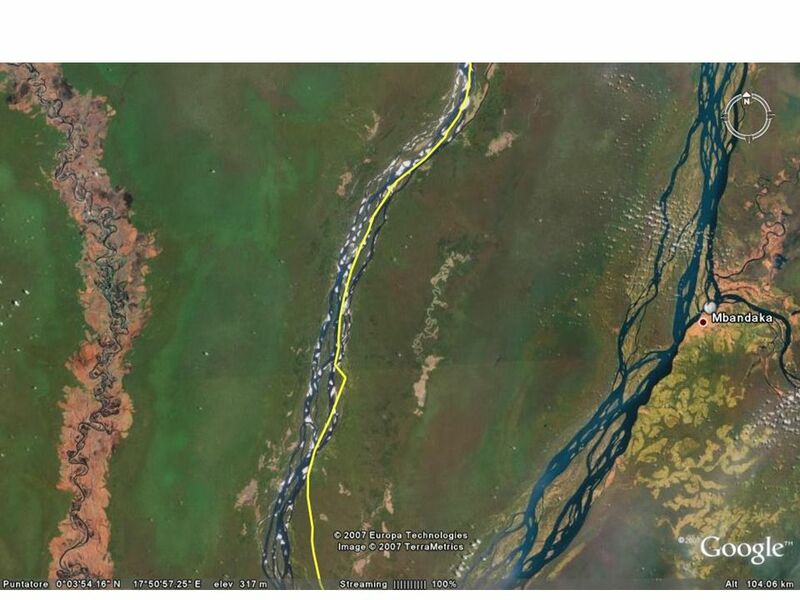 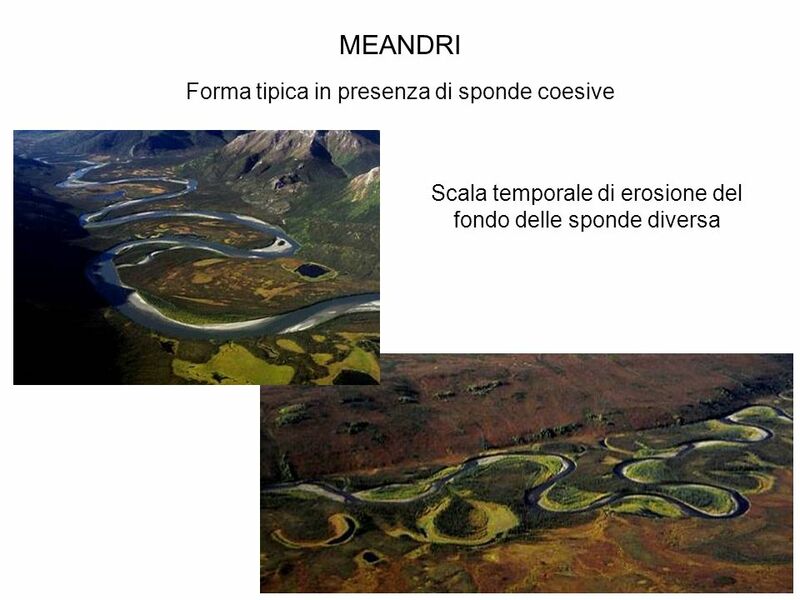 Only the former is thought to directly contribute to sediment transport. 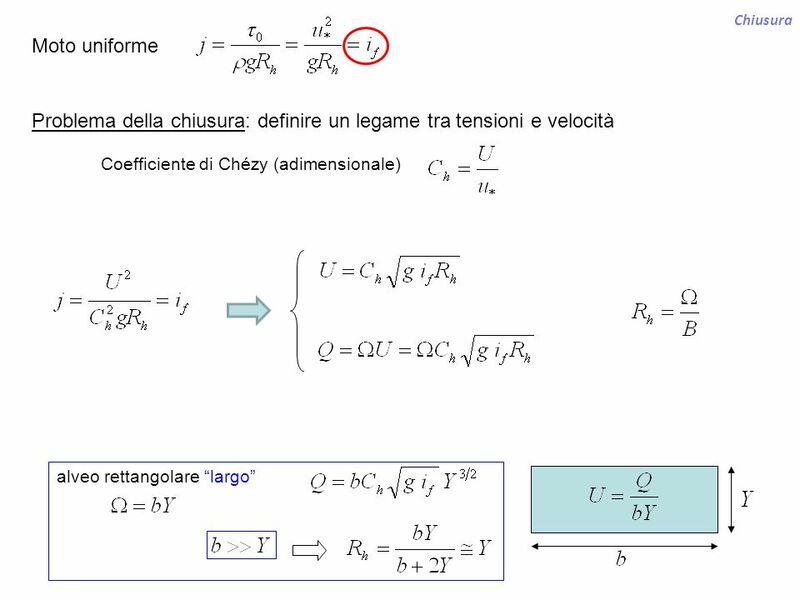 Now in the diagrams below let and denote the skin friction and form drag forces on the area element dS, denote a unit tangential vector to the surface in the x direction and denote a unit vector normal to the surface. 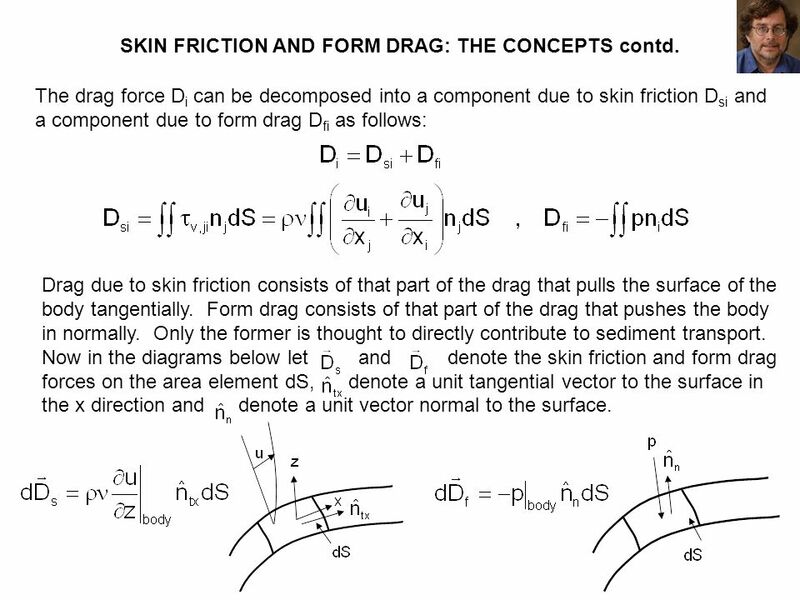 34 SKIN FRICTION AND FORM DRAG: THE CONCEPTS contd. 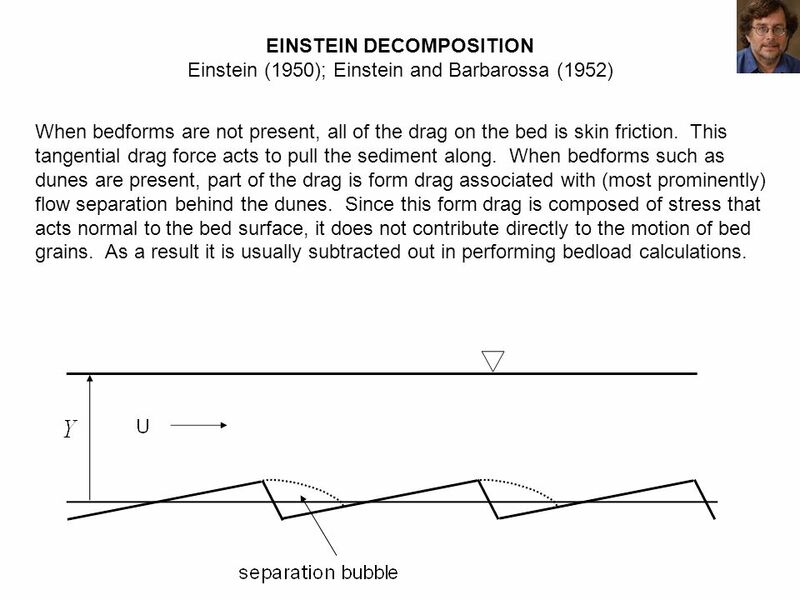 Einstein (1950); Einstein and Barbarossa (1952) When bedforms are not present, all of the drag on the bed is skin friction. 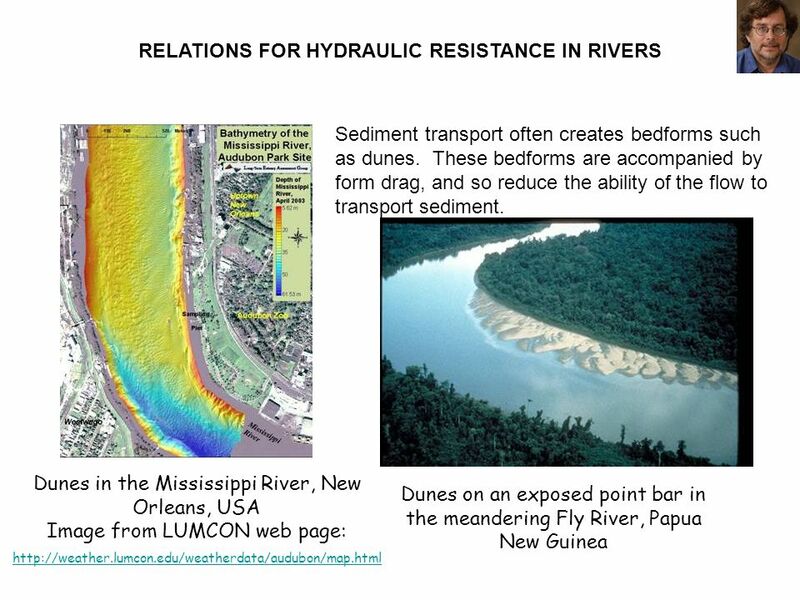 This tangential drag force acts to pull the sediment along. When bedforms such as dunes are present, part of the drag is form drag associated with (most prominently) flow separation behind the dunes. 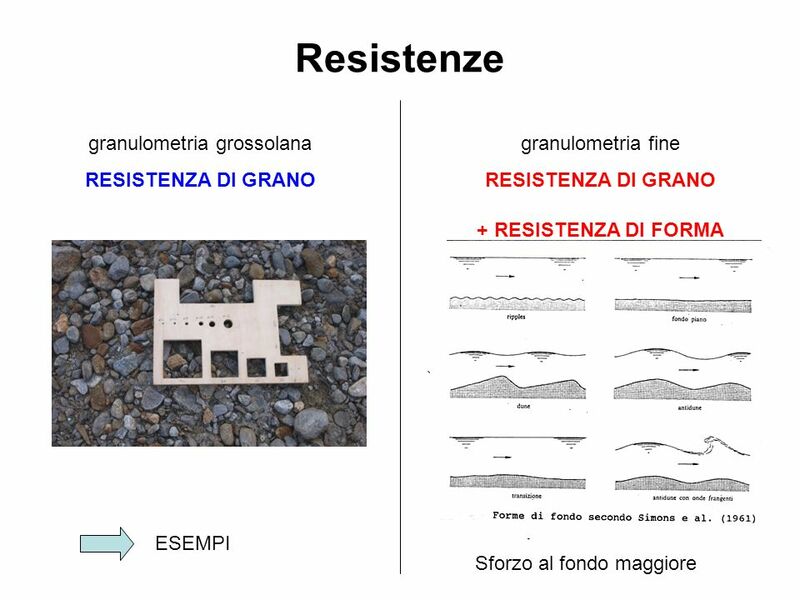 Since this form drag is composed of stress that acts normal to the bed surface, it does not contribute directly to the motion of bed grains. As a result it is usually subtracted out in performing bedload calculations. 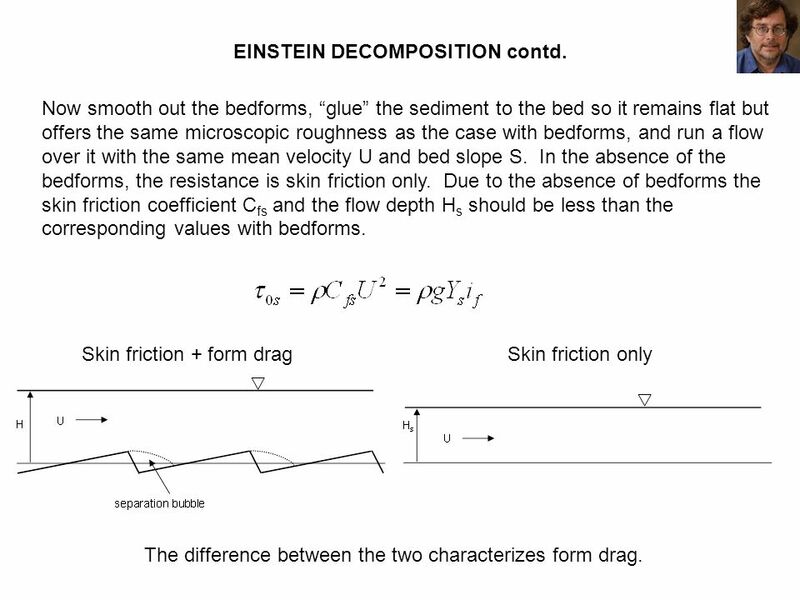 Now smooth out the bedforms, “glue” the sediment to the bed so it remains flat but offers the same microscopic roughness as the case with bedforms, and run a flow over it with the same mean velocity U and bed slope S. In the absence of the bedforms, the resistance is skin friction only. 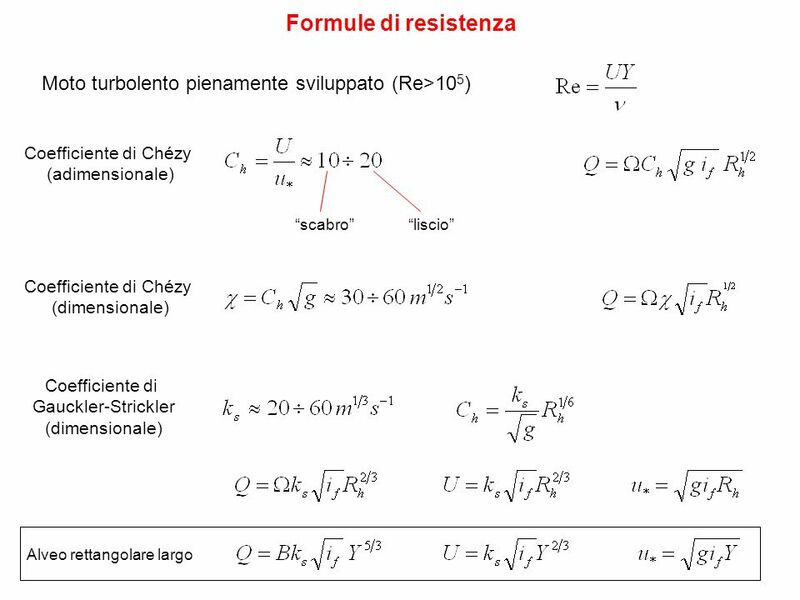 Due to the absence of bedforms the skin friction coefficient Cfs and the flow depth Hs should be less than the corresponding values with bedforms. 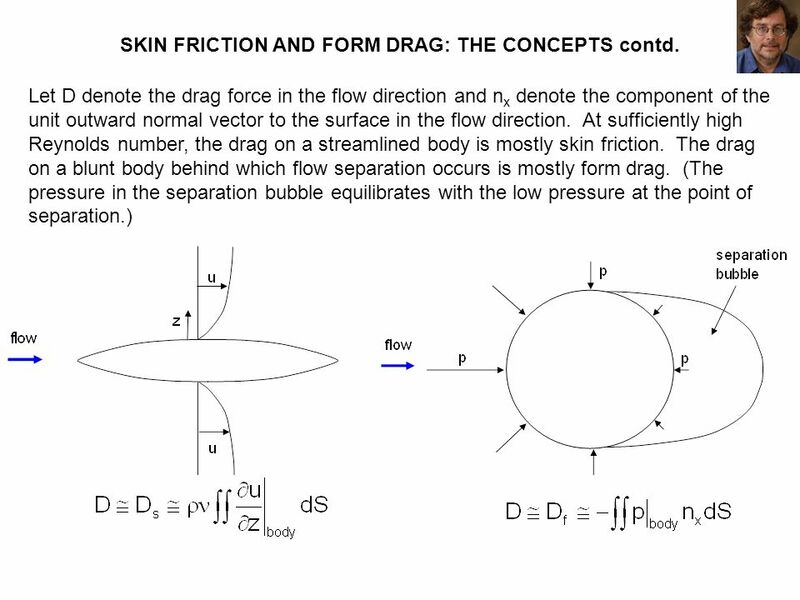 Skin friction + form drag Skin friction only The difference between the two characterizes form drag. 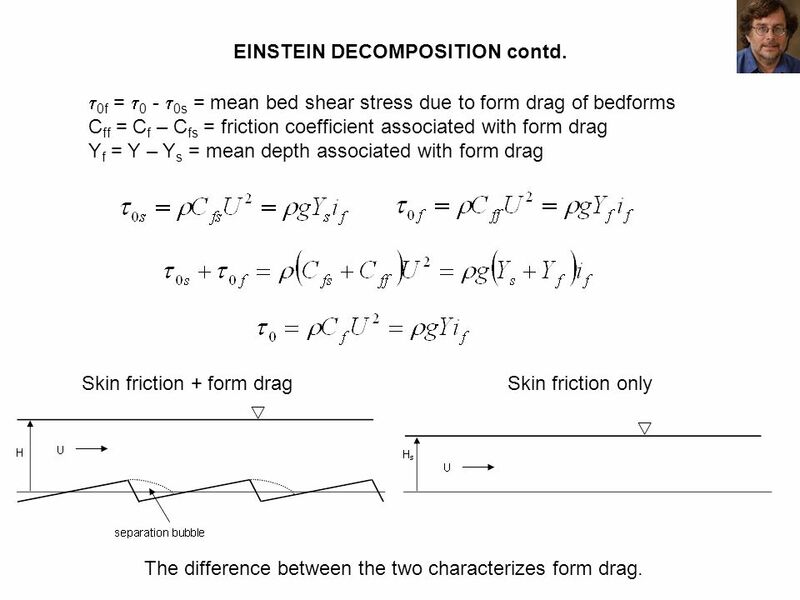 0f = 0 - 0s = mean bed shear stress due to form drag of bedforms Cff = Cf – Cfs = friction coefficient associated with form drag Yf = Y – Ys = mean depth associated with form drag Skin friction + form drag Skin friction only The difference between the two characterizes form drag. 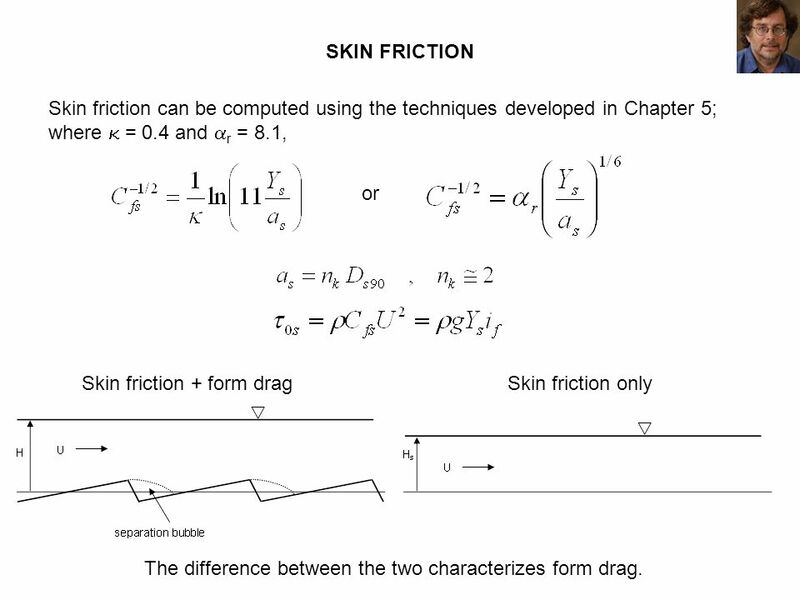 Skin friction can be computed using the techniques developed in Chapter 5; where  = 0.4 and r = 8.1, or Skin friction + form drag Skin friction only The difference between the two characterizes form drag. 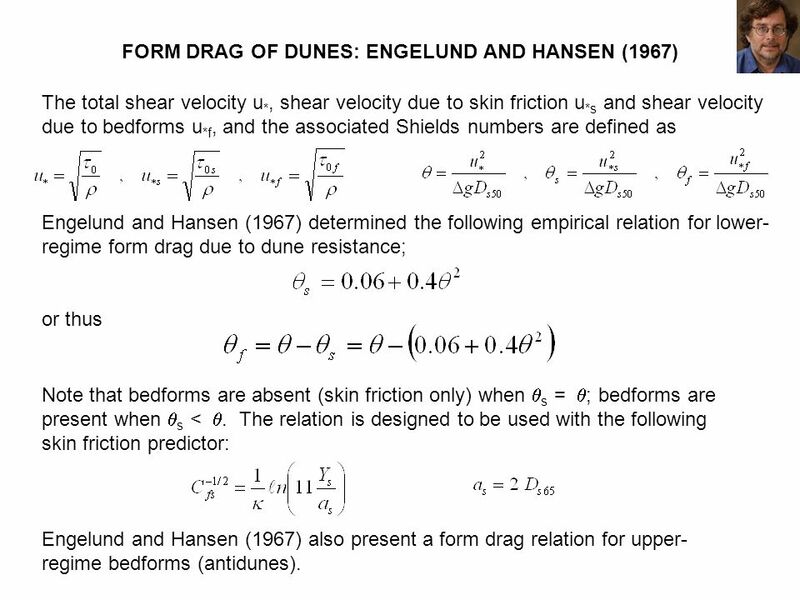 The total shear velocity u*, shear velocity due to skin friction u*s and shear velocity due to bedforms u*f, and the associated Shields numbers are defined as Engelund and Hansen (1967) determined the following empirical relation for lower-regime form drag due to dune resistance; or thus Note that bedforms are absent (skin friction only) when qs = q; bedforms are present when qs < q. 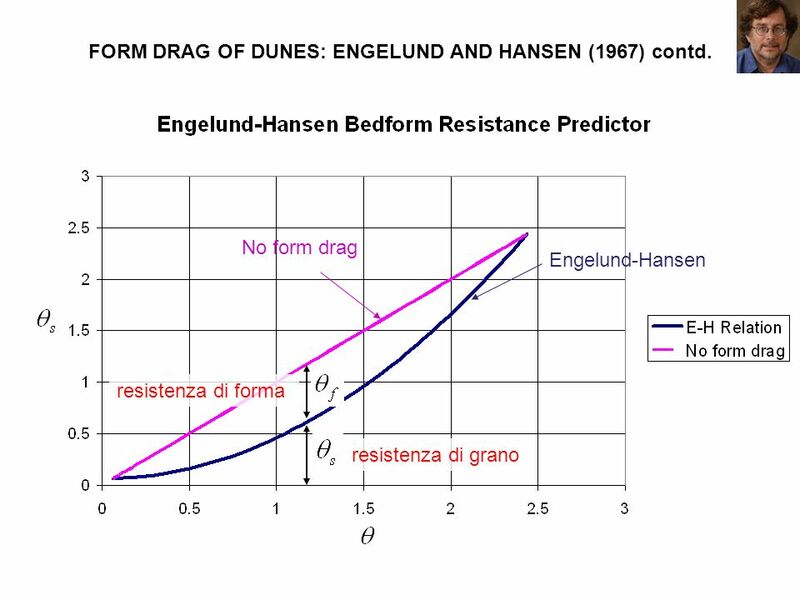 The relation is designed to be used with the following skin friction predictor: Engelund and Hansen (1967) also present a form drag relation for upper-regime bedforms (antidunes). 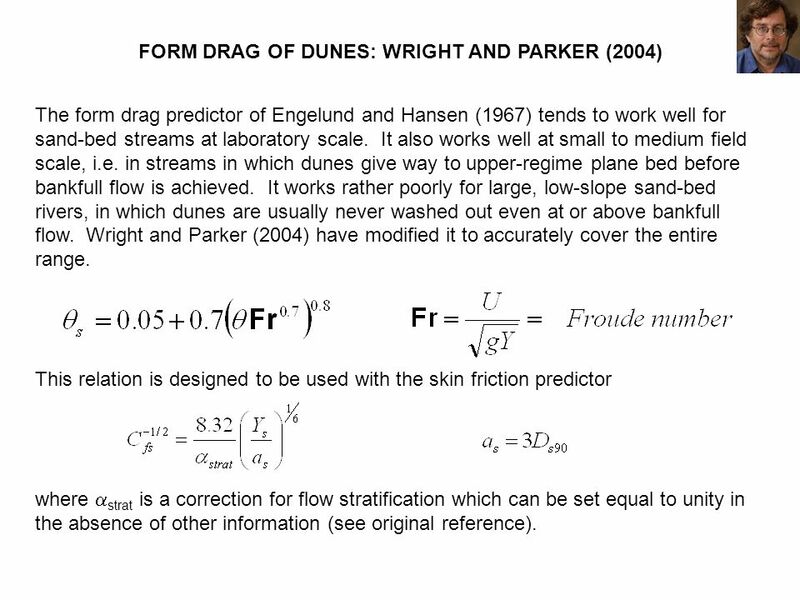 43 FORM DRAG OF DUNES: ENGELUND AND HANSEN (1967) contd. 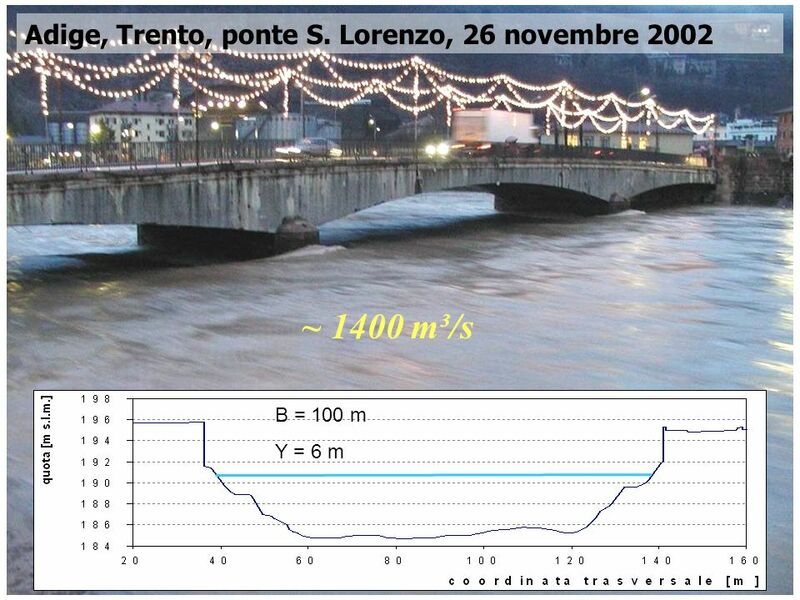 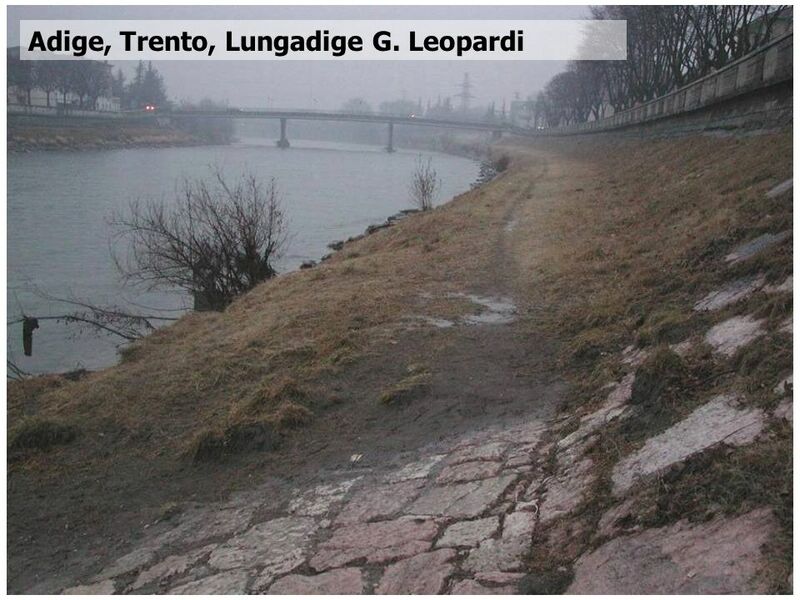 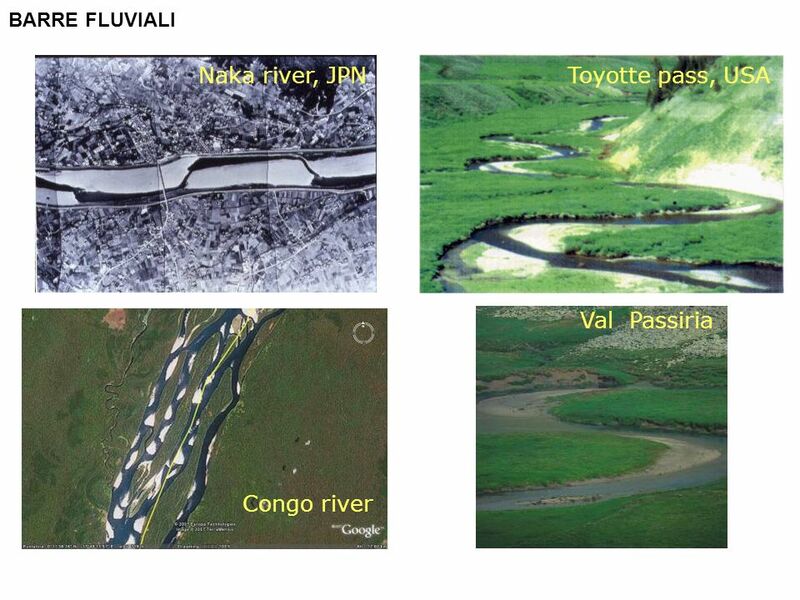 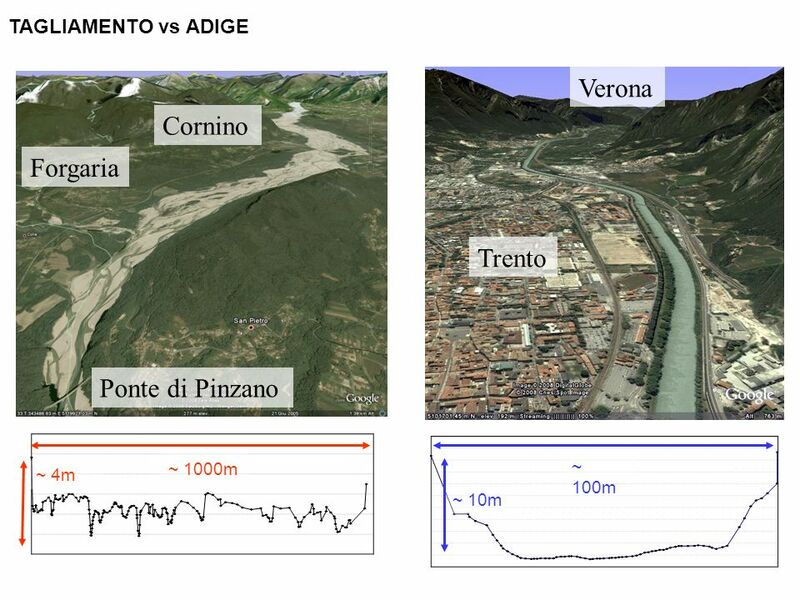 The form drag predictor of Engelund and Hansen (1967) tends to work well for sand-bed streams at laboratory scale. 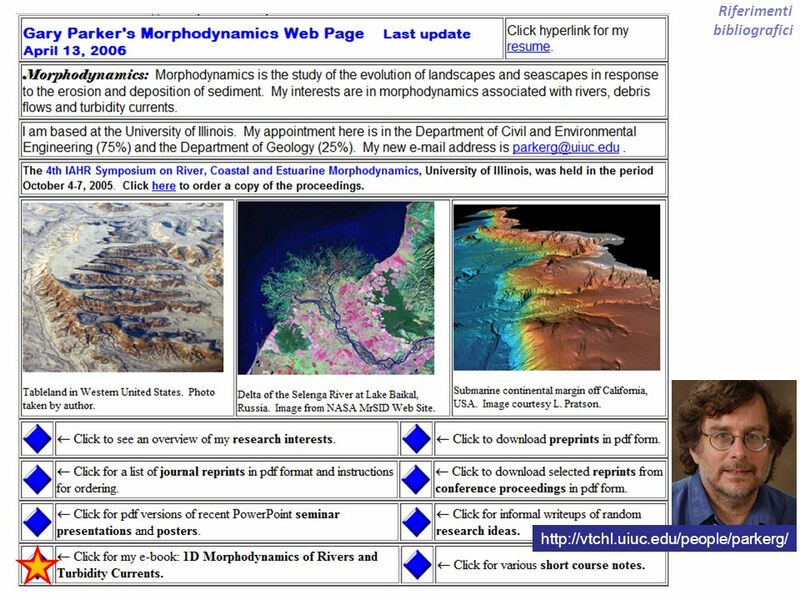 It also works well at small to medium field scale, i.e. 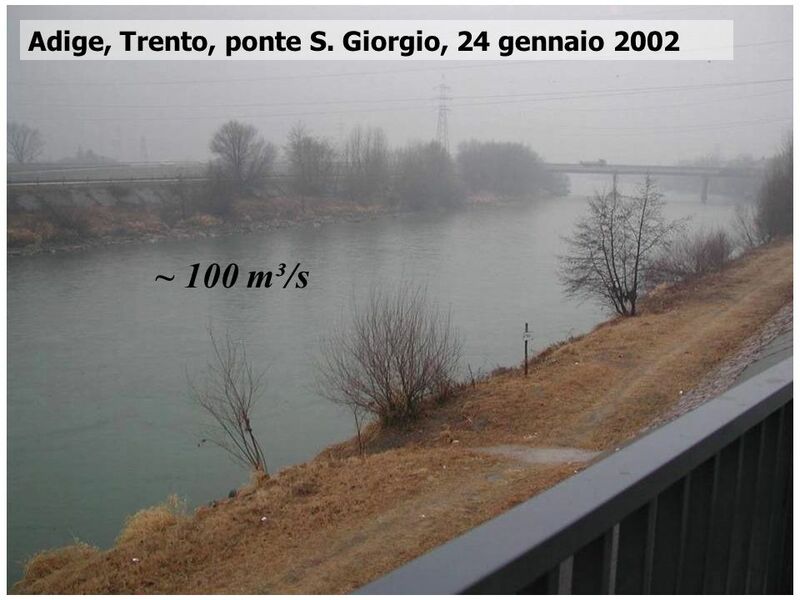 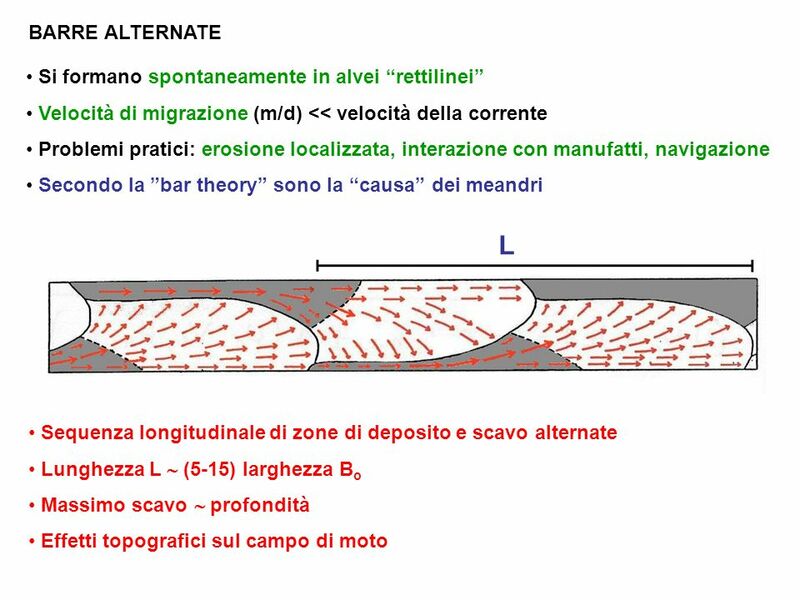 in streams in which dunes give way to upper-regime plane bed before bankfull flow is achieved. 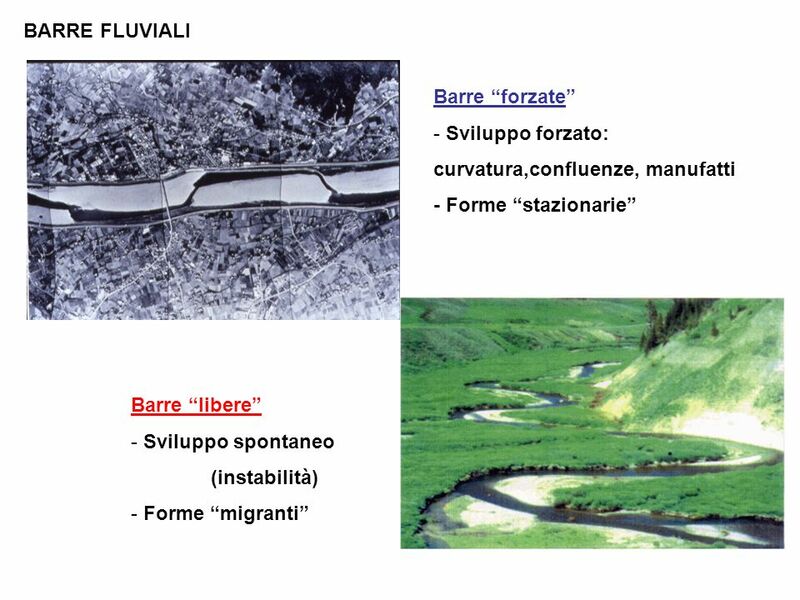 It works rather poorly for large, low-slope sand-bed rivers, in which dunes are usually never washed out even at or above bankfull flow. 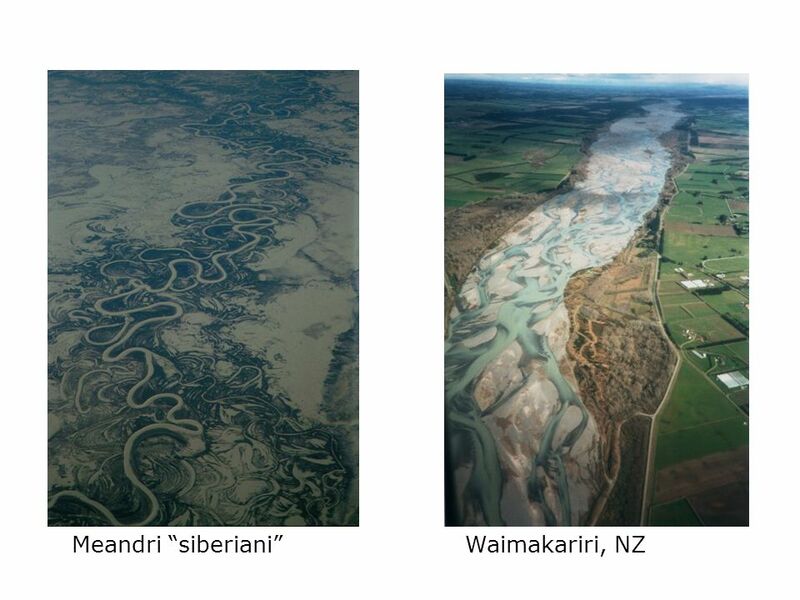 Wright and Parker (2004) have modified it to accurately cover the entire range. 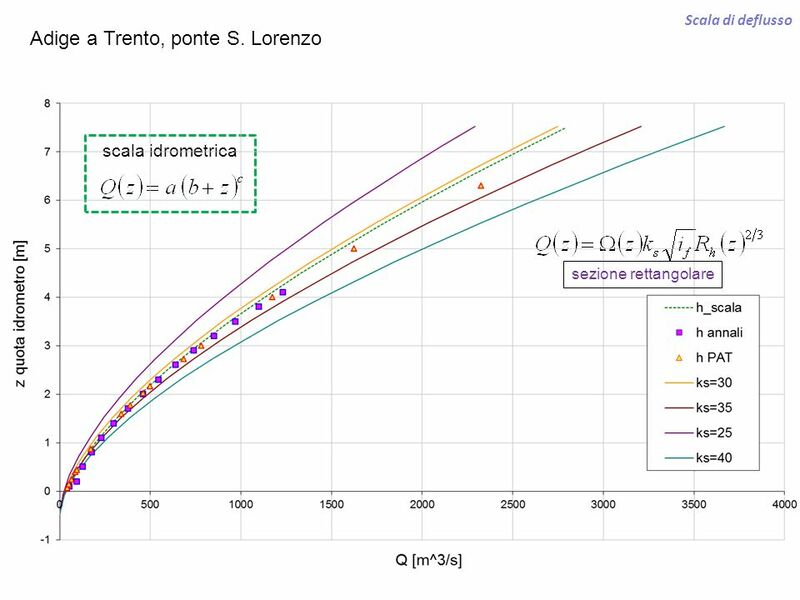 This relation is designed to be used with the skin friction predictor where strat is a correction for flow stratification which can be set equal to unity in the absence of other information (see original reference). 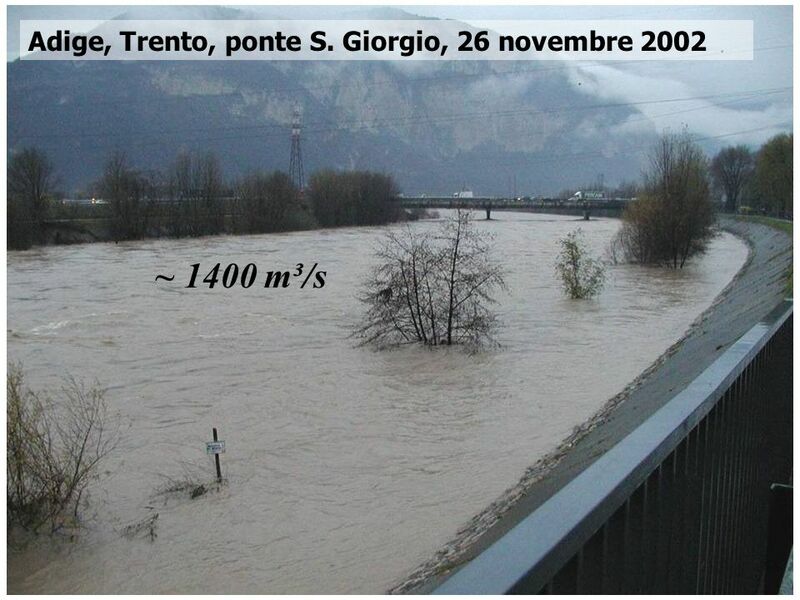 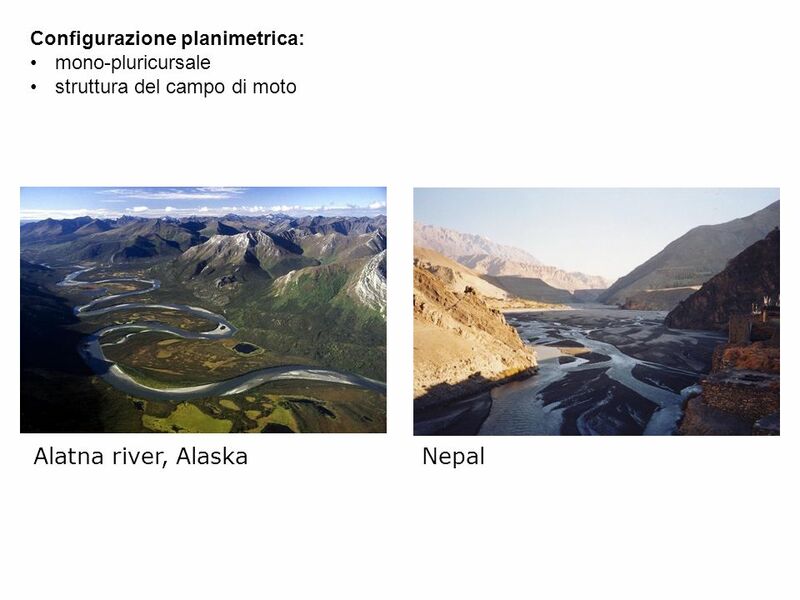 53 quanto è “largo” un fiume? 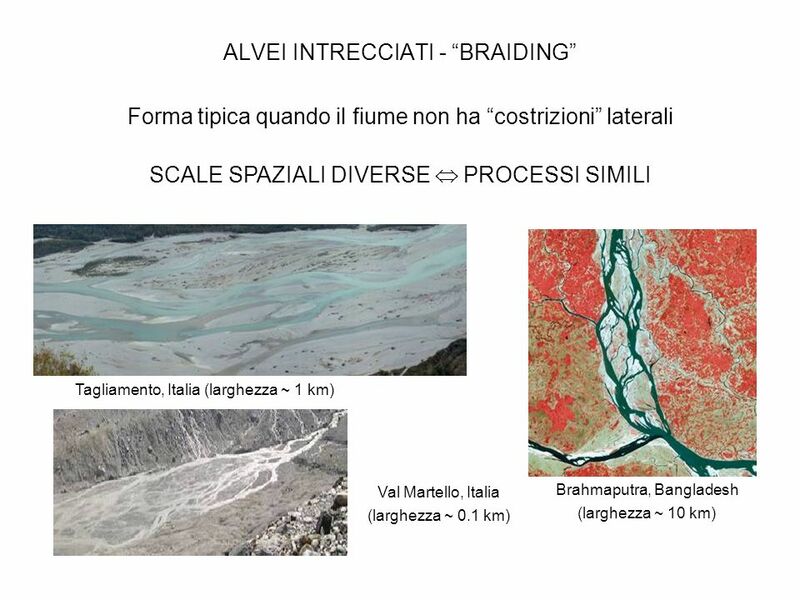 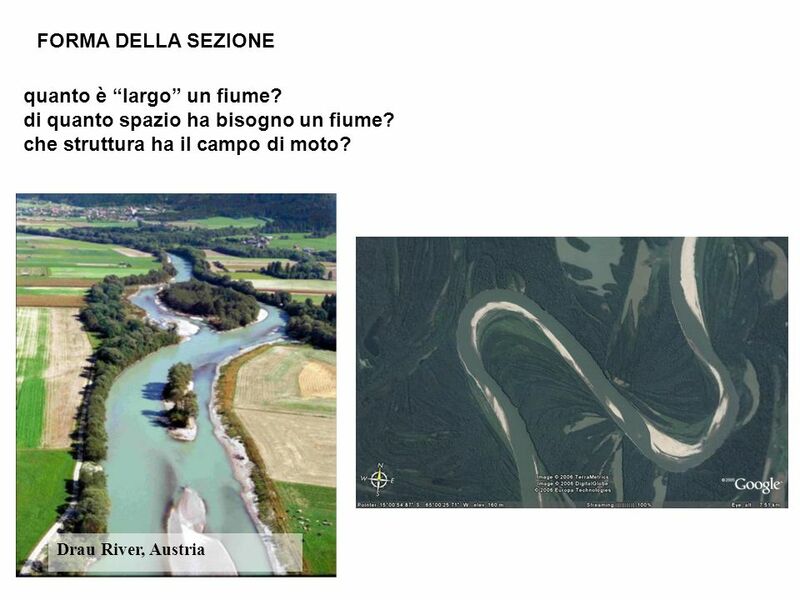 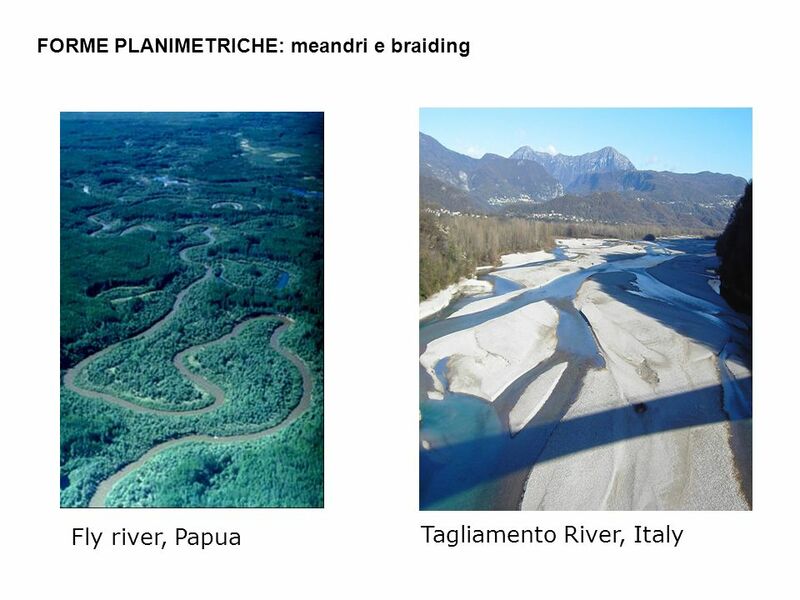 di quanto spazio ha bisogno un fiume? 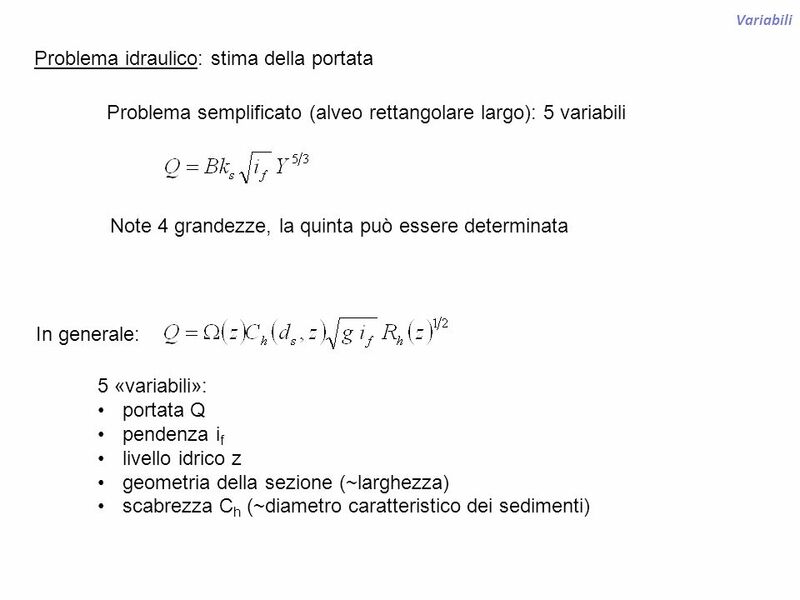 quali forme di fondo si sviluppano ? 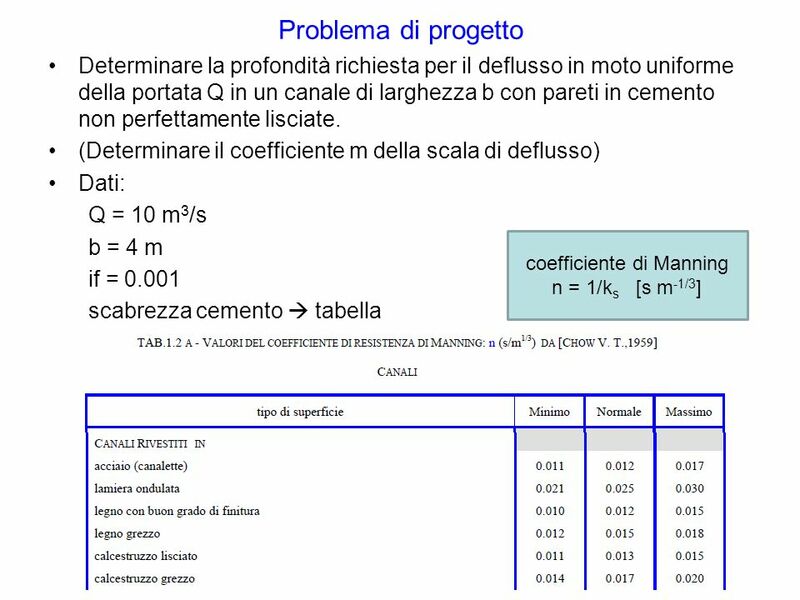 quali effetti di “scavo” e “deposito” producono ? 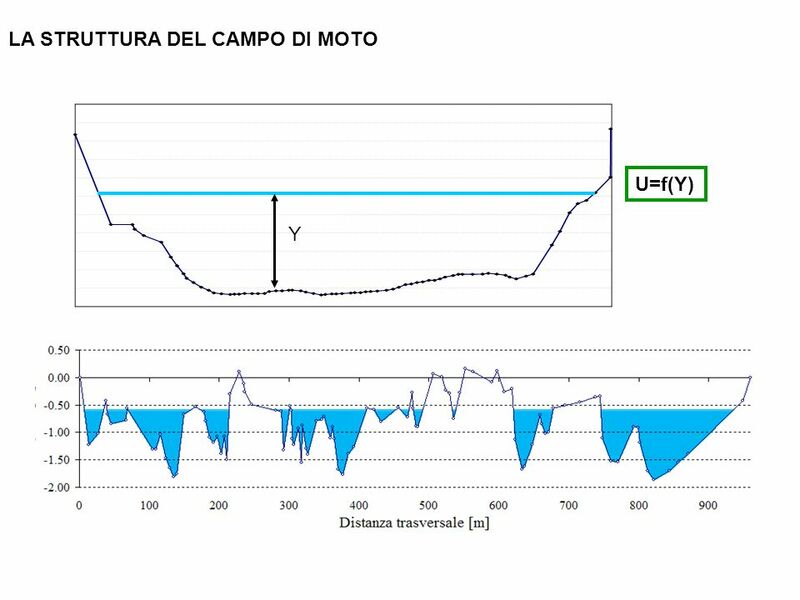 che struttura ha il campo di moto ? 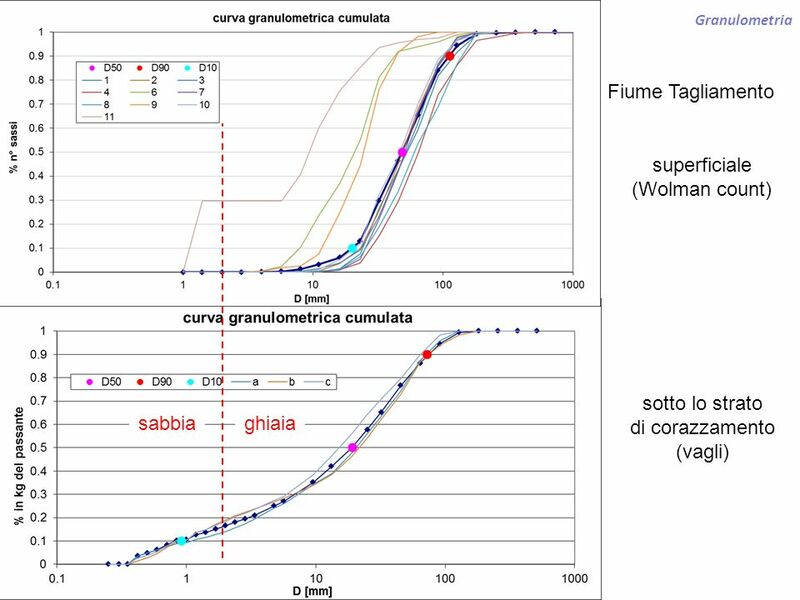 60 EFFETTI IDRODINAMICI COSA SUCCEDE AL PASSAGGIO DI UNA PIENA? 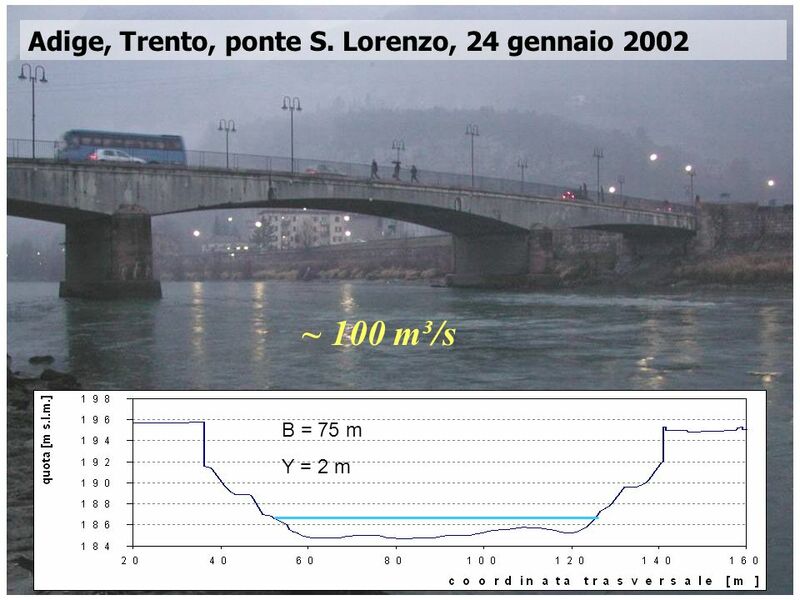 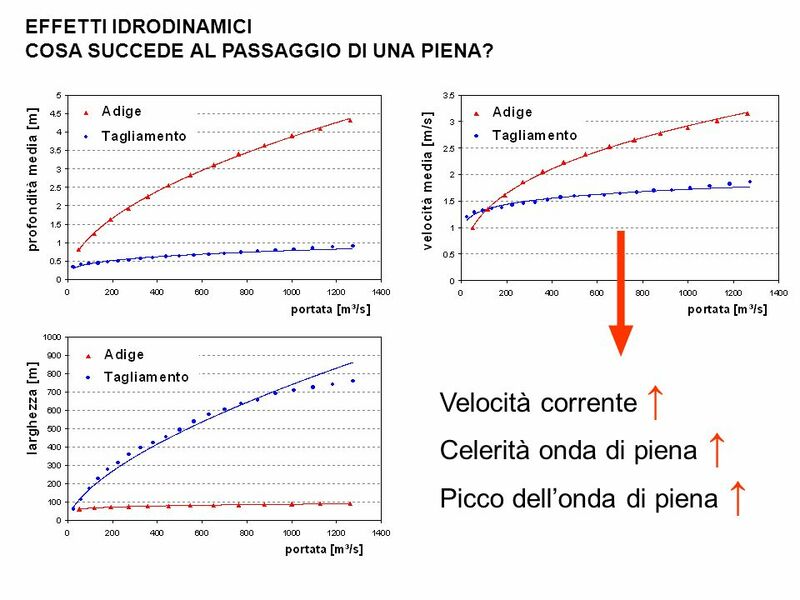 Velocità corrente ↑ Celerità onda di piena ↑ Picco dell’onda di piena ↑ Risultati ottenuti attraverso modellazione numerica semplice. 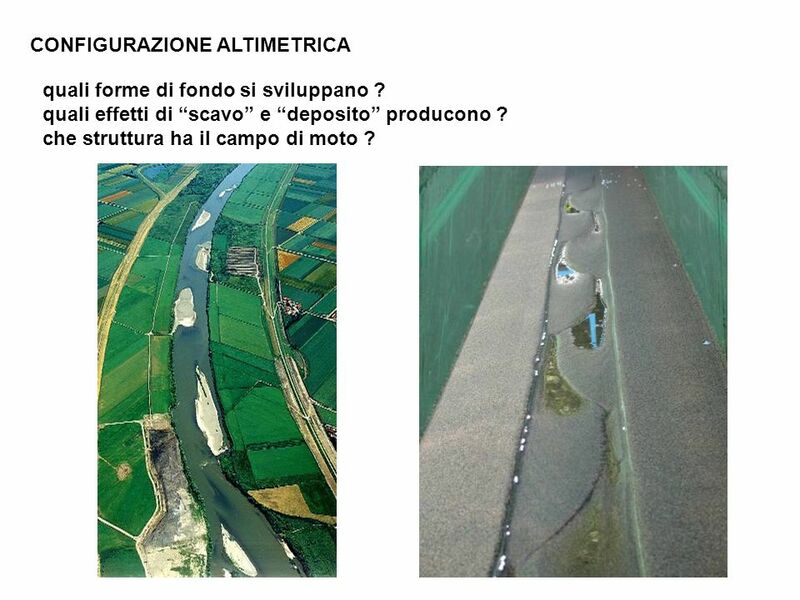 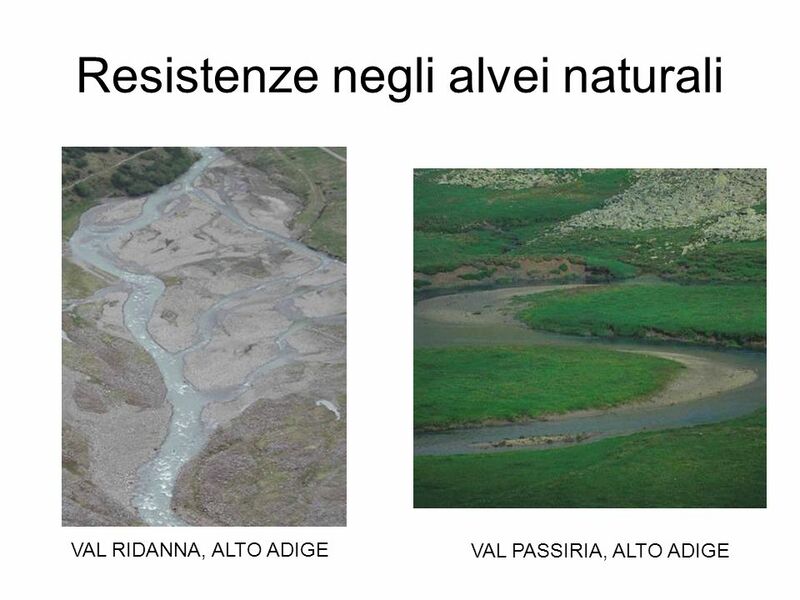 Se per adige (canalizzato) funzionano bene modelli 1D, per Tagliamento sono necessari modelli più complessi. 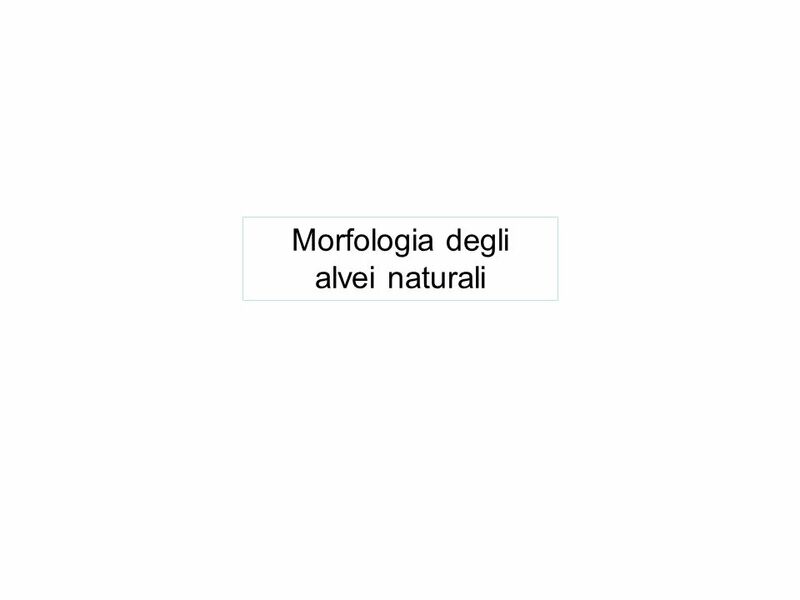 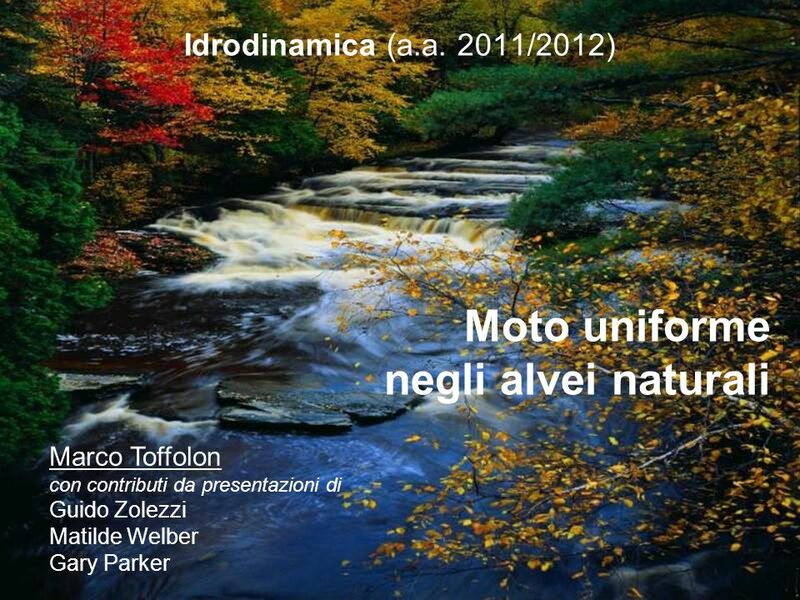 Scaricare ppt "Moto uniforme negli alvei naturali"
Corso di Elettronica per Sensori e Trasduttori.